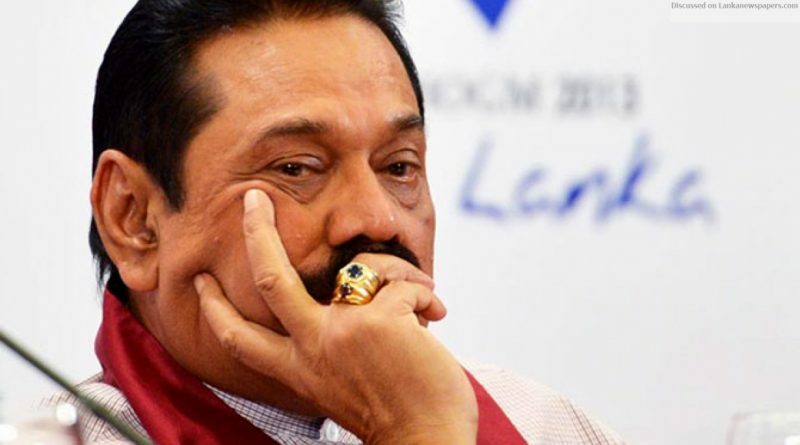 Former President Mahinda Rajapaksa yesterday denounced Minister Mangala Samaraweera’s response to Archbishop Malcolm Cardinal Ranjith and asked whether the response was the government’s opinion. He expressed these views to media after a group of Catholic MPs and Provincial Councillors met him to express their displeasure over Minister Samaraweera’s response. “We want to know whether this is the opinion of the government or its policy. We condemn Minister Samaraweera’s statement. Even many Buddhists, Muslims, Hindus and Catholics spoke to me and said they are against this. The Cardinal has simply made a statement inside a church during a service. Criticizing it in this manner is wrong,” he said. Mr Rajapaksa said the Prime Minister should make a statement over the issue.“We see this as a bad precedent. If statements of religious leaders were continued to be defamed like this, there will be no end to it,” he said. In response to Archbishop Cardinal Malcolm Ranjith’s remarks that human rights had become the religion among the Western nations, Finance Minister Samaraweera said the Cardinal seems to got things wrong in trying to be a populist.